Articles for September 2015 Year » TopFreeSoft.Net - Best Freeware Software! Find the pictures you forgot you had. 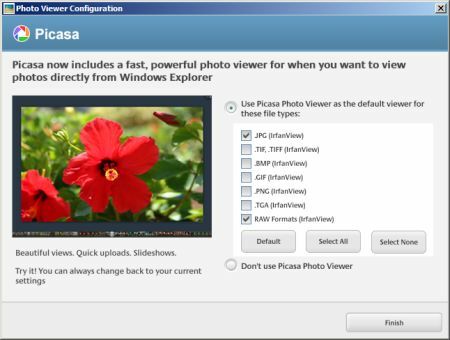 Picasa organises your entire collection while you watch, scanning the images on your computer and automatically sorting them by date. Move and re-name pictures from inside Picasa. Want to clean up messy folders and move pictures around on your computer's hard drive? Simply drag and drop pictures from one folder in Picasa to another. Picasa will make the change permanent after double-checking with you. Want to change a picture's filename from 671056398a.jpg to Lisa.jpg? In Picasa, it only takes seconds to re-name one picture or a group of pictures.